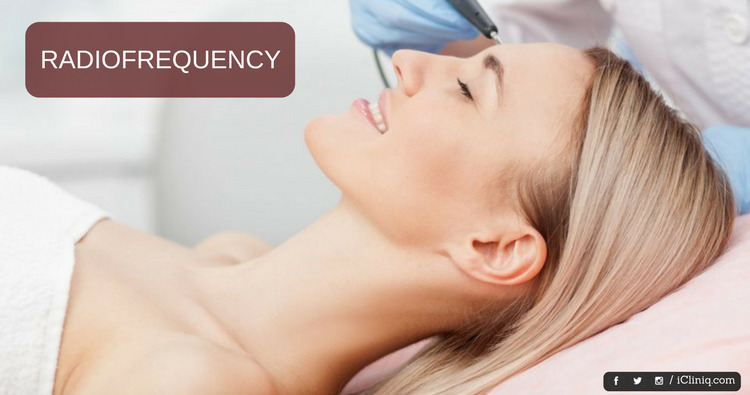 Radiofrequency energy is a novel non-surgical procedure, widely used nowadays in the field of esthetics, including skin tightening, skin lifting, body contouring and cellulite reduction. It differs from lasers, in that it uses an electric current rather than a light source. Radiofrequency devices cause localized or focal thermal damage to the dermis, so epidermis get preserved. Thus the chance of procedural complications and side effects get minimized. Since radiofrequency devices are not targeted to affect the epidermis, it may not impart all the visible changes expected by the patient. If certain topical agents like incorporating yeast extracts, tripeptides, hydrolyzed rice protein, microcrystalline cellulose, cellulose gum and HLA (human leukocyte antigen) are given along with radiofrequency devices, then they will help in improving the appearance of sagging skin and enhance the clinical benefit of radiofrequency devices. Radiofrequency devices also enhance the penetration of topical agents into the skin layers allowing optimal proximity to the zones of new collagen synthesis. I have little bumps on my genital area.What could it be? Use of a combination of light sources and RF recently have been introduced for the treatment of wrinkles and tissue tightening by pan-dermal remodeling. In this optical energy levels of 30 to 50 J/cm2 and RF energy levels of 80 to 100 J/cm3 are most commonly used. Usually, it requires three to five treatment sessions at monthly intervals, and follow-up maintenance programs are recommended once or twice a year. It is a high energy monopolar technology employing a current tip and coupled RF. It is capable of heating up to 2.5 mm in depth with a large amount of the RF energy deposited at deeper levels. This concept allows tightening in three-dimensional planes. Individuals with thin skin, an early sign of photoaging and mild to moderate skin laxity are the best treatment candidates. Immediate tissue tightening is the desired visual end point of treatment. The greatest effects most likely occur secondary to delayed deep dermal modeling. Slight pain is the primary concern, and it can be alleviated by application of the topical anesthetic cream. Titan is a new technology that uses an infrared light source of 1100 to1800 nm spectrum. This technology is used primarily for tightening of skin laxity in the submental region, jaws, abdomen or arms. Pain is very less as compared to ThermoCool, and it can be managed with Ibuprofen. Two treatment algorithms are currently used. One is the use of highest tolerable fluence and the second one is the use of low fluence with a higher number of pulses in concentrated areas. The common treatment guidelines include two treatment performed at monthly intervals. These three new technologies have been introduced recently. If patient's primary objective is rhytides reduction and skin tightening is a secondary goal, then Polaris WR system is a better option. For the patient whose primary objective is tissue tightening, then ThermoCool or Titan will be better. Do you have a question on Radiofrequency Ablation or Aging? What are the procedures done to reduce the overhanging and sagging skin post weight loss?